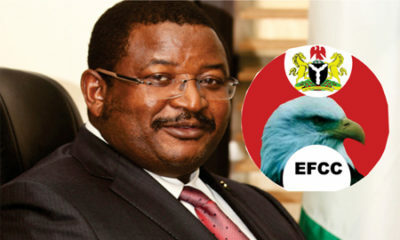 Justice Ahmed Mohammed of the Federal High Court, Abuja yesterday granted the former Group Managing Director, Nigerian National Petroleum Corporation (NNPC), Andrew Yakubu, leave to travel abroad to continue his medical treatment. Yakubu was arraigned on a six-count charge of money laundering and false asset declaration. According to The Nation, Justice Mohammed said since the prosecution counsel, Prince Ben Ikani, did not object to the application made by defence counsel Ahmed Raji (SAN),he will grant the defendant leave to travel abroad. The judge ordered that Yakubu’s international passport be released to him. ”The defendant must come back to the country after three weeks to continue his trial.